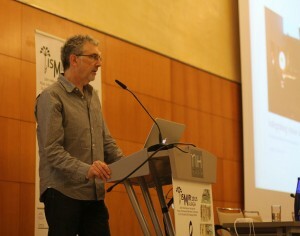 Mark Sandler gave a talk on “Integrating music information sources for music production and consumption” at this year’s International Society for Music information Retrieval conference in Malaga, Spain. 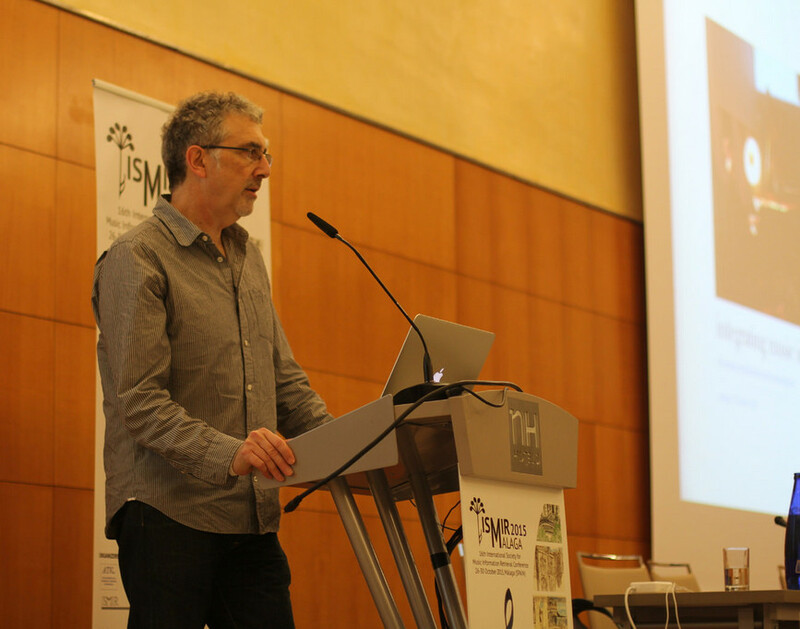 ISMIR is the leading conference in the field of music informatics, and is currently the top ranking publication in terms of h-index for Music & Musicology (source: Google Scholar). Mark’s keynote began with a thumbnail sketch of his early education and career, including the influences of Peter and the Wolf and Simmons Drums. This was followed by his 10 Commandments for MIR research, basically advice on good practice in research learned and accumulated by doing things right and wrong over the years. 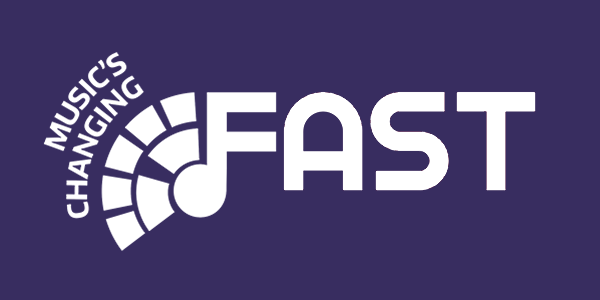 The final section of the talk was a run through the FAST Programme Grant covering the basic principles that led to the proposal, and finishing with some highlights of achievements to date. Queen Mary University of London, and more specifically its Centre for Digital Music (C4DM), had as in previous years a strong presence in the conference, both in terms of numbers and overall impact. A number of papers, sessions and meetings were submitted, presented and (co-) organised by the members from C4DM, as reported in Emmanouil Benetos’s news item. Finally, on the organisational side, the following C4DM members were members of the programme committee: Emmanouil Benetos, Simon Dixon, Sebastian Ewert, George Fazekas, Dorien Herremans, Matthias Mauch; and Bob Sturm chaired the oral session on Music Similarity.